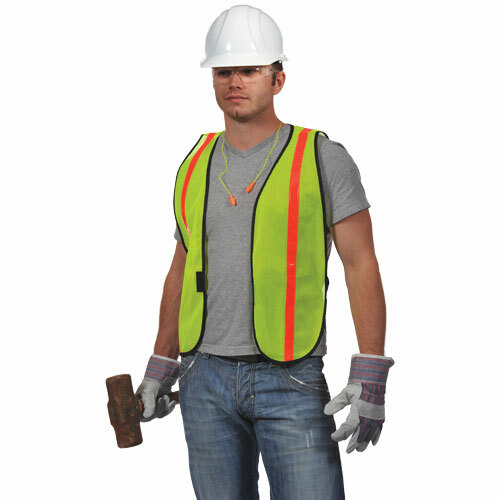 The New Hire Kit contains a complete set of basic worker essentials for many trades. 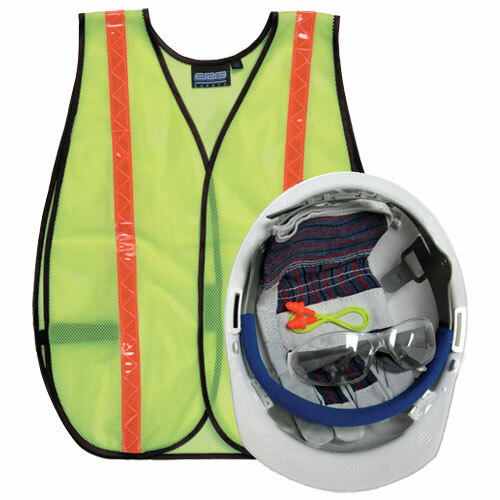 Contents are conveniently shrink-wrapped inside a white Liberty safety helmet to easily distribute to workers. The Liberty safety helmet has an Easy Quick-Slide 4-point polyethylene suspension which provides protection, comfort and a wide range of adjustment for many head shapes. Contains a set of PVC corded ERB reusable foam ear plugs, a pair of leather palm work gloves, clear Boas safety glasses and S18R economy safety vest (Non-ANSI).